IrAero Boeing 777-200ER for the FSPainter Boeing 777-200ER base model. 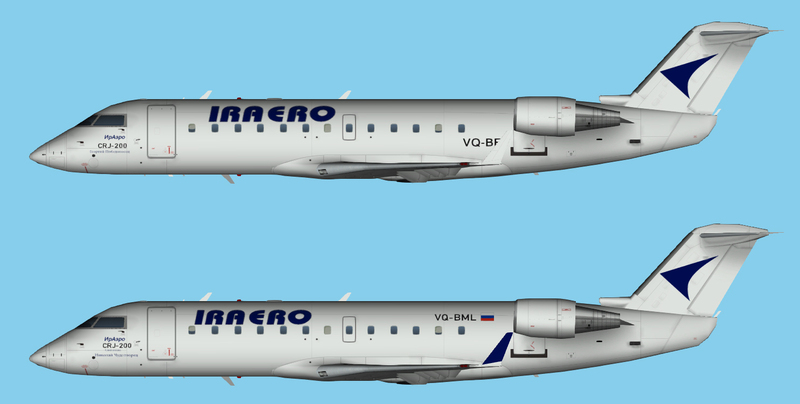 Iraero Bombardier CRJ-200 for the AIM Bombardier CRJ-200 base model. These are FSX textures only. The AIM Bombardier CRJ-200 base model is required. It can be found at www.avsim.com. Search for aim_crj200_basemodel.zip.